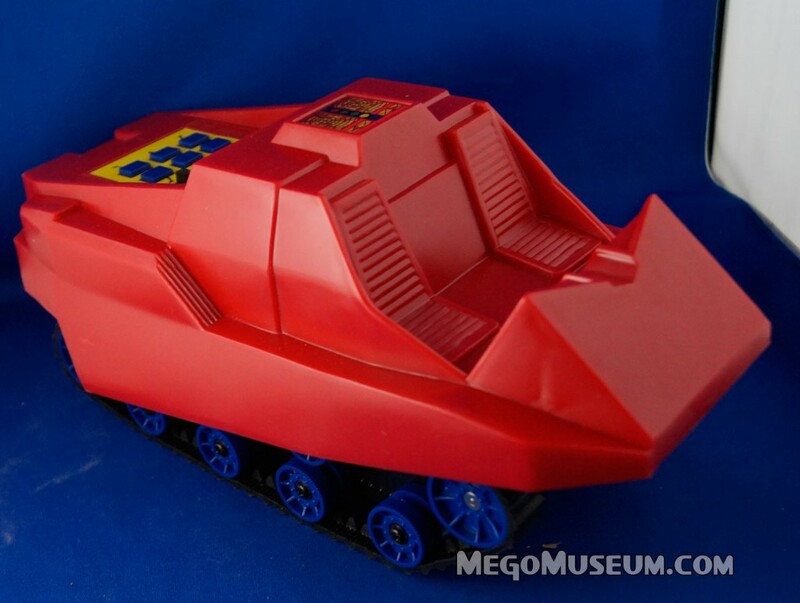 Essentially these vehicles were similar to the “Big Trax” marketed by Milton Bradley Electronics around the same time, however Mego did a clever thing and tied them to their Superhero license and then popular Pocket Heroes brand. Both items were sold in Mexico as well by distributor Ensueno. The Bat Machine as it appeared in the second printing of the 1980 Mego Catalog. 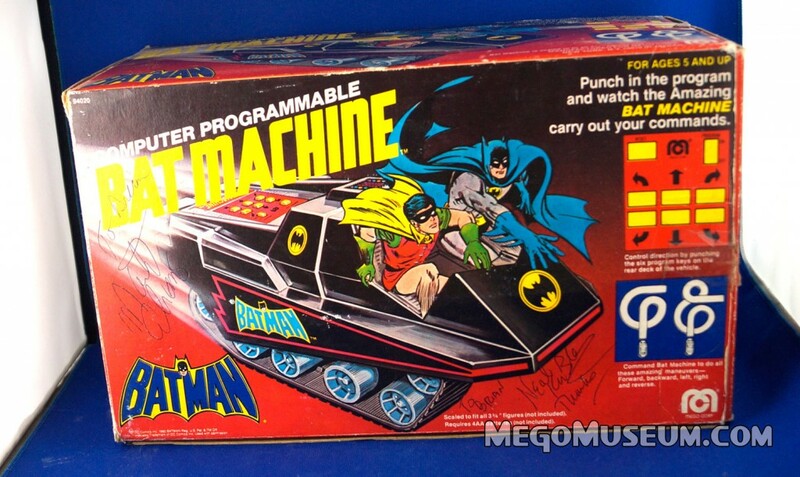 Here is a boxed version of the Batmachine bearing some great artwork as usual. 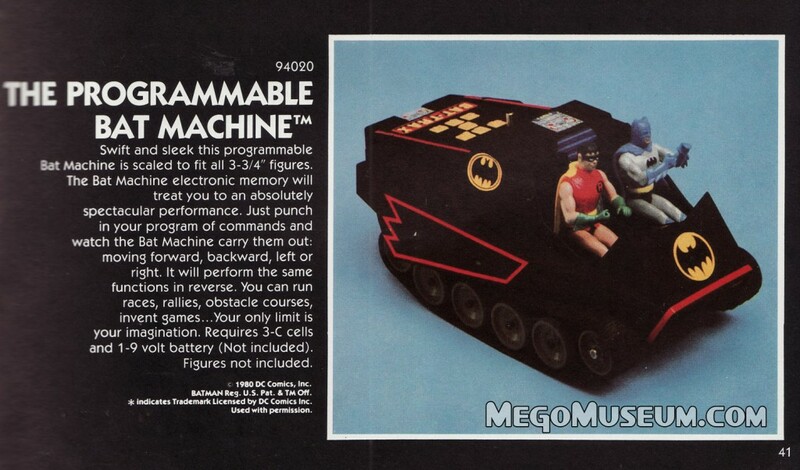 You can put Batman into any toy and it’s plausible. Figures were not included. 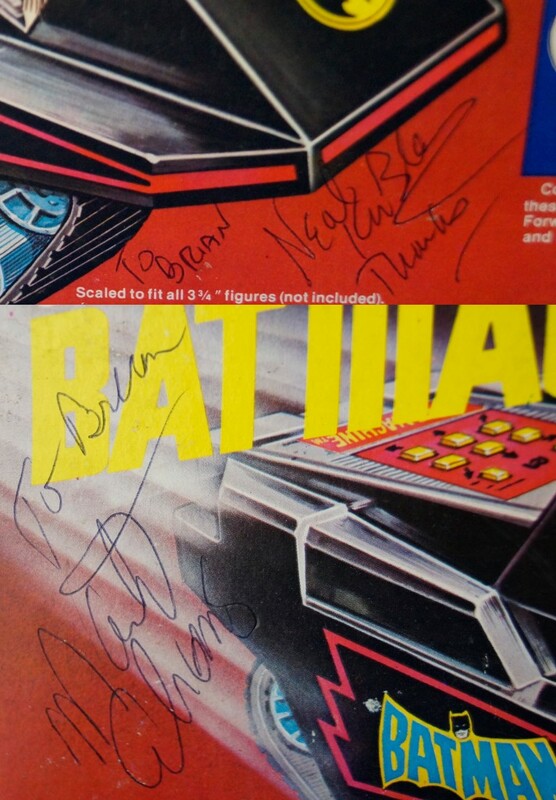 Shot of the box flap. 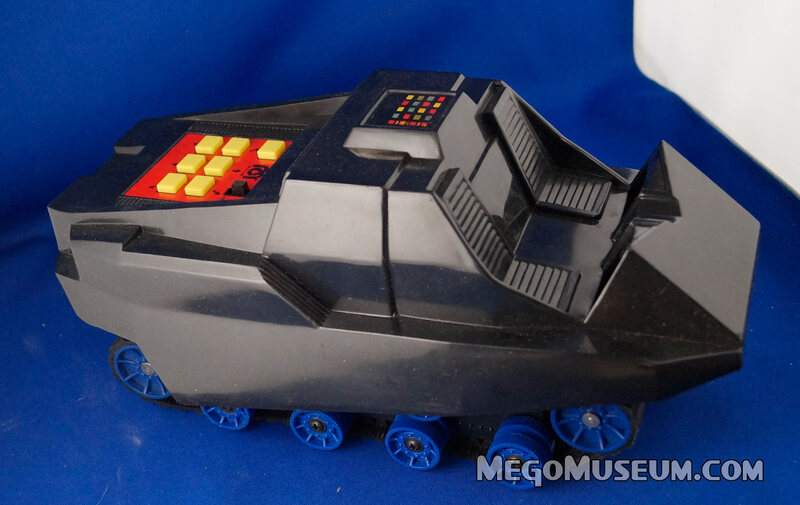 This version is signed by both former Mego President Marty Abrams and the late Neal Kublan, former VP of research and Development at Mego. 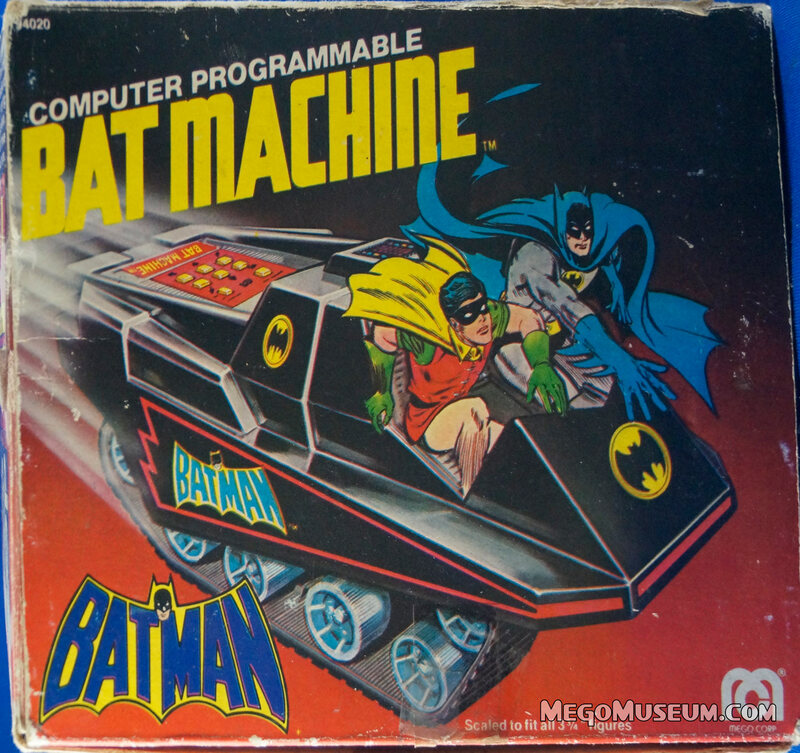 Our version doesn’t have the decal sheet, if you have a Batmachine with the decals or the sheet itself, we’d love a shot of it! 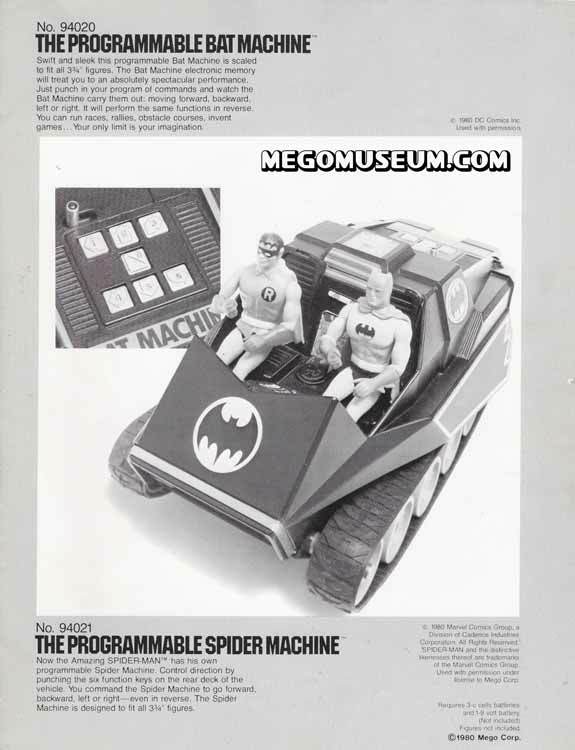 Programmable Spider Machine by Mego Corp. 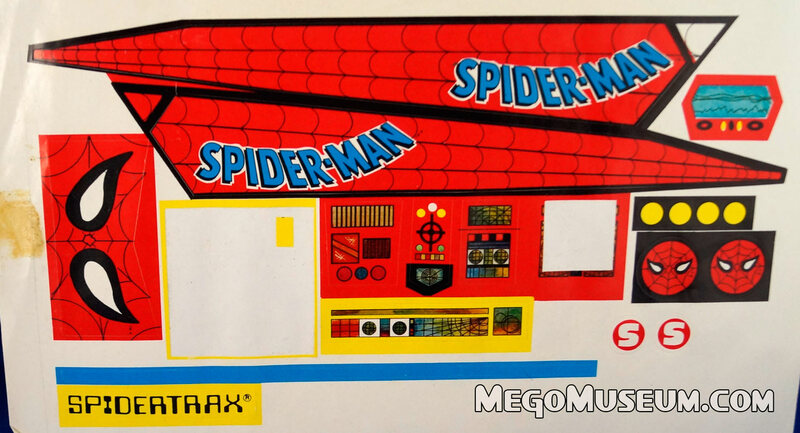 The Spider-Machine wasn’t quite ready for the second printing of the 1980 Mego Catalog, so we just got the box art. Anything Batman got, Spider-Man got as well by this point as he was one of the “heavy hitters” in the figure category. 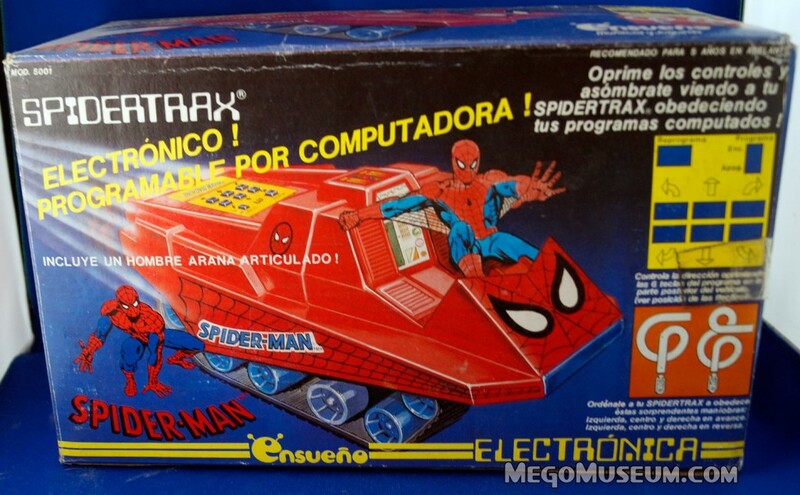 We have the Mexican version of the Programmable Spider-Machine which was called “Spidertrax” and sold by a company called Ensueno (who also distributed the flying superheroes) The major difference other than the Spanish language box is that Ensueno included the pocket Superheroes Spider-Man figure. This is likely because they didn’t sell them separately. 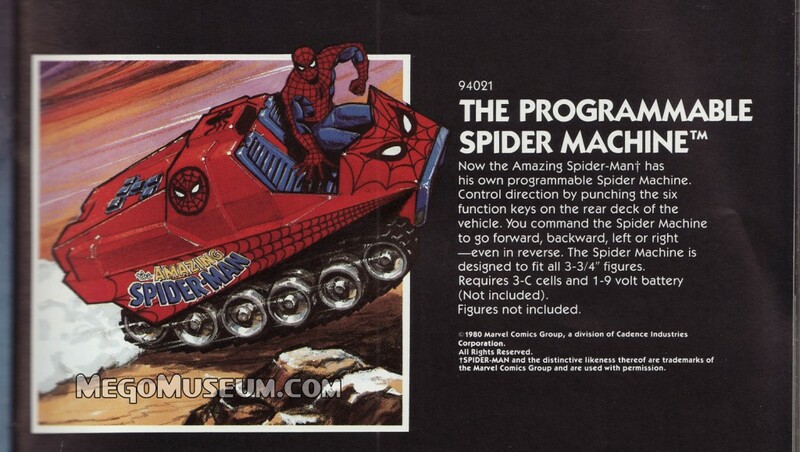 If you have a boxed American Spider-Machine and want to sent us a photo, drop us a line! The Spider-Man (un hombre arana articulado!) 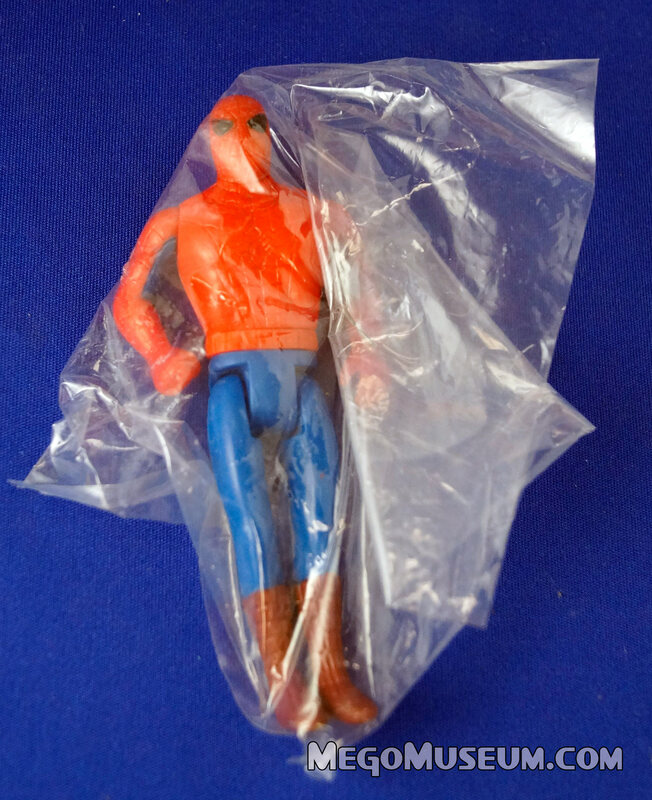 figure Ensueno included with the Spidertrax with it’s original baggie. 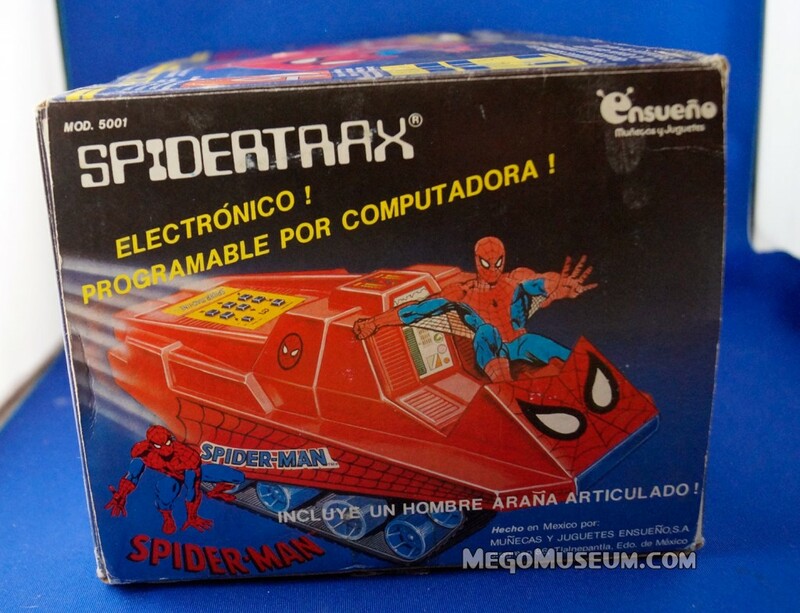 Loose Spider-Trax, even though this item has never been played with, it no longer works.